Collective Design Fair 2016, VIP Lounge by ASH NYC. Over the past five years, we've watched as ASH NYC has made a name for themselves in New York's competitive design community. In that time, ASH NYC has grown from five to twenty five team members and has gained a reputation as an innovative and bespoke urban design shop that's right at the cutting edge of what's happening today - in interior design as well as in development, staging, and furniture and object production. This past year, The Hudson Company had the opportunity to meet up with ASH NYC and share the story behind our brand and sustainably-milled products lines. One thing led to another and, before long, ASH NYC was incorporating Hudson Co. Reclaimed Heart Pine [Chalk Finish] into one of their residential design projects. "Employing office culture as a conceptual framework for the VIP Lounge at Collective Design 2016, OfficeSpace conflates the banal - cubicles, dropped acoustic panels and ready made office furnitures with the exuberant - art and design. For moments of rest from the chaos, we would like to invite visitors to mingle and relax by the proverbial water cooler." To help reach their overall design objectives, ASH NYC turned, once again, to The Hudson Company's Reclaimed Heart Pine [Chalk Finish] for the custom, one of a kind conference table they crafted for the VIP lounge's (see above and below). The result of our collaboration with ASH NYC was both very satisfying and very inspiring - to see the Reclaimed Heart Pine [Chalk Finish] used for a furniture build out was such a creative contrast to how Chalk is best known, as the flooring installed at the new Whitney Museum of American Art. Bravo to the whole team at ASH NYC on their success at Collective Design Fair 2016. We are honored to have been a part of the process. We look forward to seeing the designs you bring to life in the years to come. You can learn more about ASH NYC at their website and on Instagram. The ASH NYC Team at Collective Design Fair 2016. 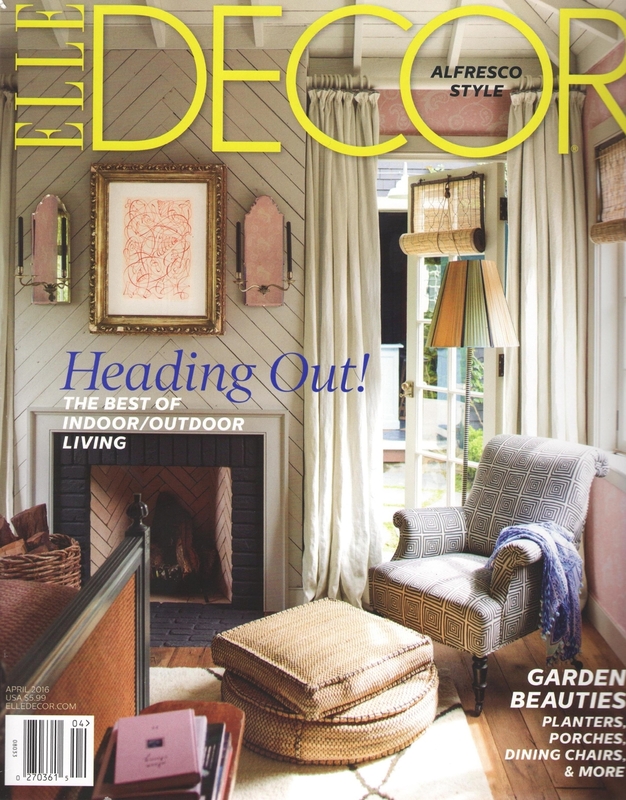 We are thrilled to share that our very own Reclaimed Heart Pine [Original Face] floors are featured in Samantha Emmerling and Hillary Brown's article 'Toolbox' in the newest issue of ELLE DECOR Magazine (April, 2016), on newsstands now. Reclaimed Heart Pine [Original Face] Flooring is one of our most popular and versatile reclaimed wood flooring products and has found a place in design installations of all kinds, including two New York retail spaces for outdoor mega-brand Patagonia (see both stores below). Reclaimed Antique Long Leaf Heart Pine wood is sourced from Hudson River Valley factories and warehouses whose construction dates back to the Industrial Revolution. Reclaimed Longleaf Heart Pine wood was once a predominant standing timber across a large span of the eastern seaboard. For generations, Long Leaf Heart Pine's prevalence and unique properties made it the most widely-utilized timber in American construction. Today, The Hudson Company is always on the lookout of high-quality, high-character Heart Pine to reclaim, custom mill, and re-introduce to designers and architects for use in their next projects. Learn more about the full range of Hudson Company Reclaimed wood floors (including six varieties of Reclaimed Heart Pine) on our Reclaimed Flooring Page. Patagonia Surf Shop, New York.